The younger generation will get exposed to technology on a daily basis and kids are supposed to have vast knowledge on how it works. The best way to get them going is with an Android tablet, which runs on Google’s operating system. Once they are ready to go with the full computing experience, Chromebooks become the ideal choice, because they are affordable, durable and is much safer than opting for a full Windows experience. The best Chromebooks for kids are the ones that are compact, easy to use and are capable of withstanding demanding situations. Young kids may not be as careful as adults and choosing a device which has some waterproof capabilities or rubberized grips are advisable. You can also consider going for lightweight laptops that are easier for young kids to carry. 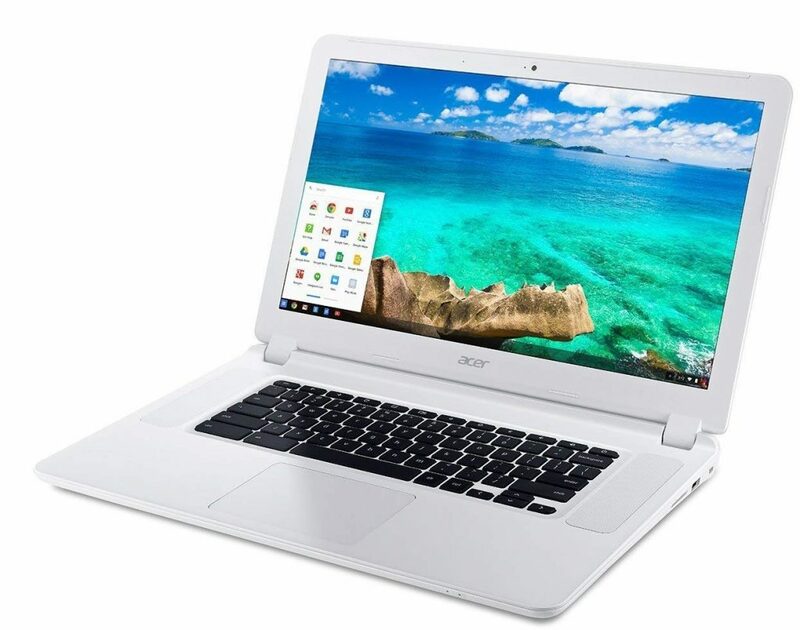 The Acer Chromebook is quite rugged, based on many positive reviews and it can withstand all kinds of usage scenario. The laptop comes cheaper, but its battery can last only seven hours. However, if you are planning to use it only in a home environment, battery life shouldn’t be a big issue. The anti-glare setup used on the 15.6-inch 720p display, allows you to view movies, Youtube videos or even eBooks from any angle without eye strain. The Acer CB3-532 is a powerful laptop nonetheless, as it is powered by Intel Celeron dual-core processor with 2 GB of RAM and 16 GB SSD. The device uses the latest Wi-Fi AC technology and runs on Google Chrome OS. 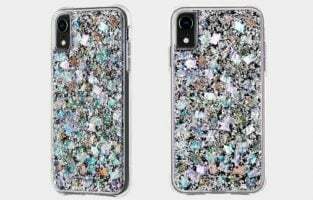 The front HD camera allows kids to make video calls with friends and family while gaining access to a host of Chrome apps including educational stuff and some fun learning games. The search for the best Chromebooks for kids ends here! The Asus Chromebook 202SA-YS02 is a model that surpasses every benchmark set by traditional laptops. 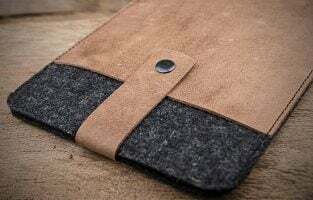 It is designed for rugged usage with all corners covered using reinforced rubber, easy grip handles on the sides allowing young kids to carry them along without slippage. The laptop has also been certified to have spill resistant keyboard and it can be water resistant to a certain level because of the rubber coverage. The Asus Chromebook sports a very small 11.6-inch display which has a resolution of 1366×768 pixels. The compact size makes it easy to hold in one hand and even your younger 10-year old kids can easily operate this product. The anti-glare display ensures that viewing angles are awesome and can be viewed from the sides together as a group without difficulty. 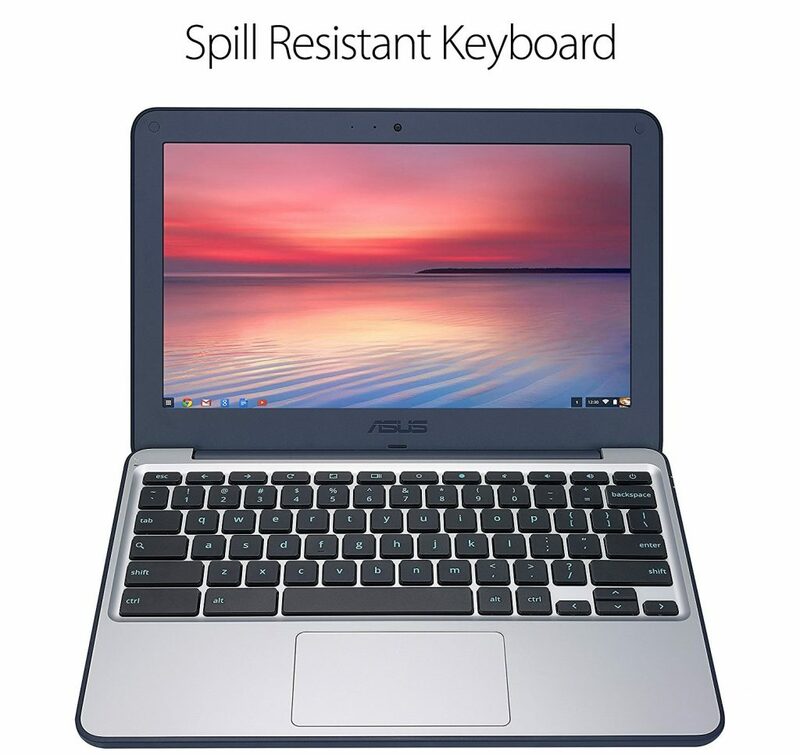 The Chromebook runs on Intel Celeron N3060 processor with 4 GB of RAM and 16 GB of storage space. The battery life is rather adequate at 10 hours and it is a wholesome package for children who like to learn with the best of technology. Not all Chromebooks are geared towards young kids because when they are in their teens, they might become conscious of the style factor. 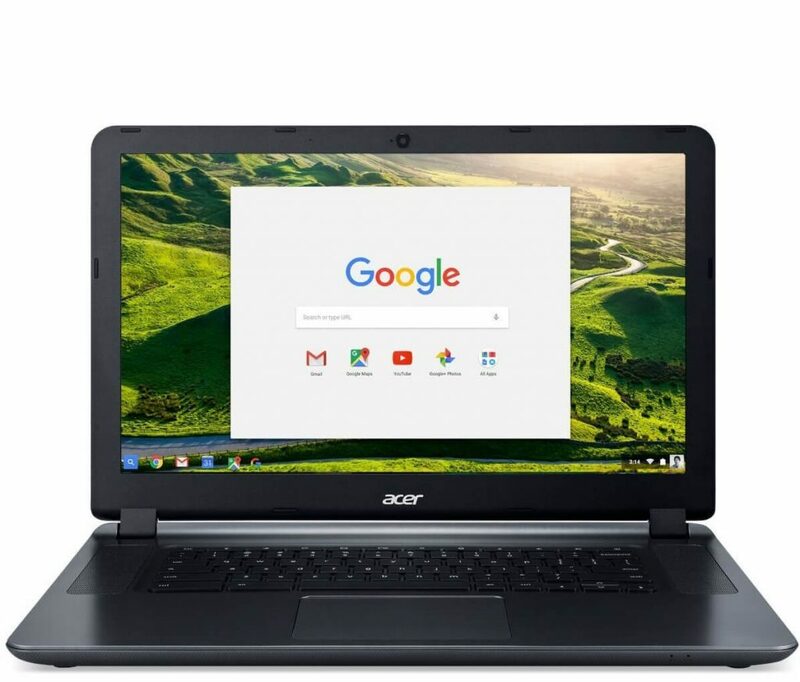 If you are buying a new product for your high school kid or anyone above 13 years, the Acer Chromebook 14 CB3-431-C5FM is a perfect choice. The laptop delivers on all fronts including its aesthetic design, with a stylish silver finish, good hardware components and the compact 14-inch display which has a resolution of 1920×1080 pixels, making it all the more fun to use. The Chromebook is made using aluminum chassis which gives it a slightly hefty build but also makes it feel very premium when you hold it. It is powered by Intel Celeron Quad Core processor with 4 GB of RAM, which is a better choice than an entry-level 2 GB of RAM. The Chromebook also has ample 32 GB of storage space and uses Intel HD graphics. The battery life is just amazing as the manufacturer Acer promises about 12-hours on continuous usage, which is great for school kids or to carry along with your family on quick trips. It also supports Wi-Fi AC providing fastest file transfer and internet speeds on a wireless connection. The full aluminum chassis feels great to hold in the hand and it provides a robust feel to the Chromebook. Most parents think twice before investing in expensive laptops or Chromebooks for their young kids. For those who like to teach technology on a budget and require a small device that is easy to carry, the Samsung Chromebook 3 ticks all the right boxes. The 11.6-inch display is the most notable aspect of this device which makes it lightweight and easy to carry with one hand. Young kids may not find it difficult to access apps or games, as well as keep it in their bedroom without occupying much storage space. 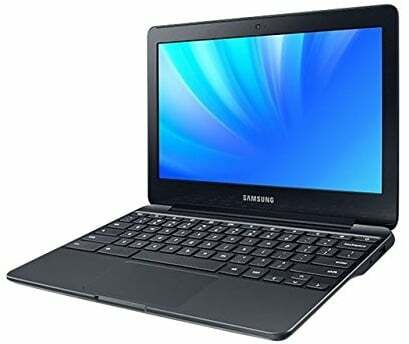 The Samsung Chromebook 3 XE500C13-K01US is powered by Intel Celeron N3050 combined with 2 GB of RAM and has 16 GB of SSD storage. The solid state drive keeps the laptop very responsive at all times and all apps, games on the Chrome OS store run without any hiccups. The display is integrated with anti-reflective technology, making it viewable from any angle. The Chromebook can also run for 11 hours straight on a single charge and that’s more than enough time for any activity. The other highlight of this Samsung product is that it has a spill-resistant keyboard and can withstand if any liquid is accidentally spilled on it. 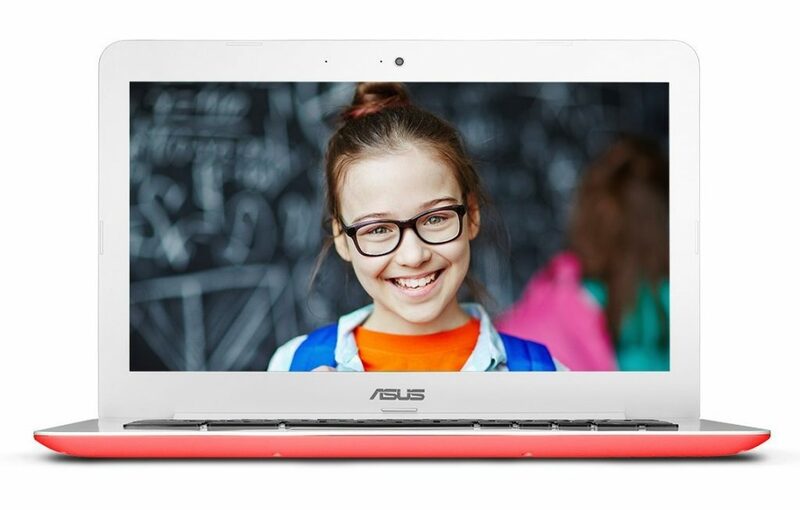 Kids love colors and while most Chromebooks are in the black or grey finish, the Asus Chromebook C300SA is one of the most vibrant products you could find online. It is one of the best Chromebooks for kids in terms of hardware specification, style and reliable build quality. The laptop is powered by an Intel Celeron N3060 processor clocked at 1.6 GHz which is paired with 4 GB of RAM. The outer layer of the Chromebook sports a matte finish that feels great to touch and hold. The Chromebook features a 13.3-inch display with a resolution of 1366 x 768 pixels. The product is available in a range of colors including blue and red which are very vibrant to look at. The Asus Chromebook is also integrated with latest hardware components including a USB 3.0 port, uses Wi-Fi AC for fastest internet speeds and it also seamlessly delivers up to 10 hours of battery life. With so many amazing features combined with a decent display and an attractive finish, Asus has nailed the product for kids and it can also be used as an alternative laptop by adults whenever there is a requirement. The product weighs just 3 pounds making it extremely lightweight. There are compact and less powerful Chromebooks at cheaper prices, but the HP Chromebook focuses on the demanding crowd. For parents who need a colorful and powerful laptop for their kids, the HP Chromebook 14-ak060nr is a great pick. 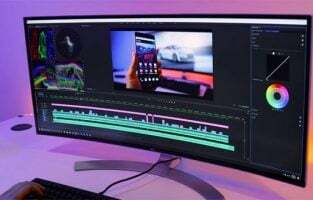 The device is powered by Intel Celeron N2940 processor clocked at 1.83 GHz while it is further supported by 4 GB of RAM and 16 GB SSD for storage. The SSD will ensure that your Chromebook stays responsive, quick to react when opening apps or games besides being powerful to handle most requests. Sporting an all-blue design, the keyboard is well spaced out and there is ample space for your kids to rest their hands. The trackpad is responsive and Chrome OS is limited in terms of performance but is a safer environment for children to learn the nuances of the internet, explore apps and play learning games. The screen size is 14-inch which has an impressive resolution of 1920 x 1080 pixels. The full HD resolution looks awesome on the small display and it is powered by Intel HD graphics. Be it in terms of specification or design, the HP product will manage to impress most users and is kid-friendly. 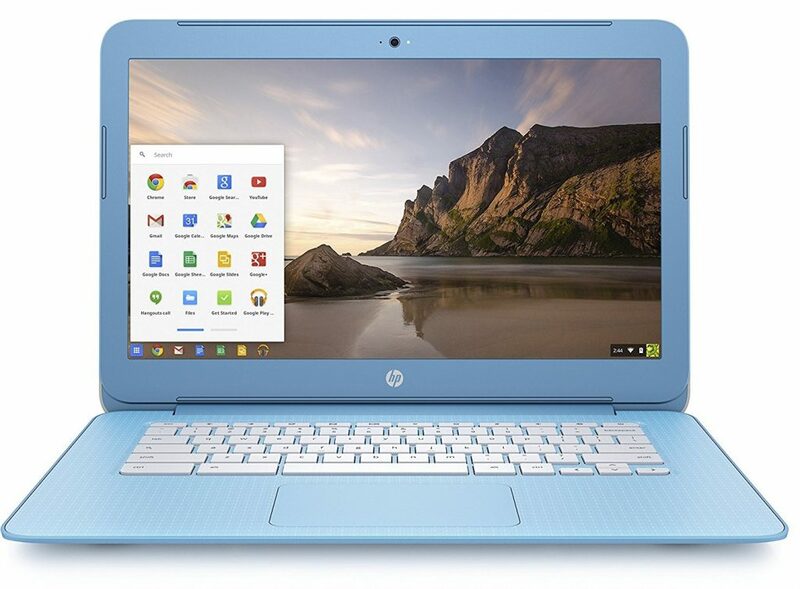 The sky blue variant of the HP Chromebook is very attractive to look at. Kids will love it! The specifications are powerful and it’s got a brilliant 1080p display ideal for viewing any type of content. The price tag of the Dell Chromebook 11 3189 T8TJG might look expensive for many, but it does provide a 2-in-1 solution, both as a laptop and as a Chromebook. The display can be swiveled into 180 degrees and its touchscreen capabilities allow users to immediately start using it as a tablet. The display size may be slightly higher but it is still compact at 11.6-inches. The IPS screen produces deep blacks, has great viewing angles and it is made durable to withstand all types of usage scenario. The Dell Chromebook comes from a reputed manufacturer which is evident in its overall build quality and the brand is also known for its customer support. The laptop is powered by Intel Celeron N3060 processor which is adequately supported by 4 GB of RAM and there is 64 GB of storage space for your ChromeOS apps. 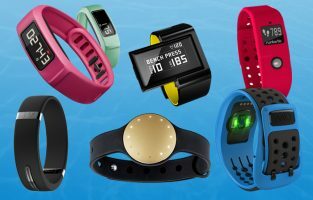 The price factor is truly justified in this device and it also promises an excellent battery life of 10 hours from full charge. A premium 2-in-1 solution, it is capable of delivering both purposes and has a slightly conventional design which is not something most buyers will worry about. The 10-hour battery life is excellent and it also has a reliable one year warranty period. 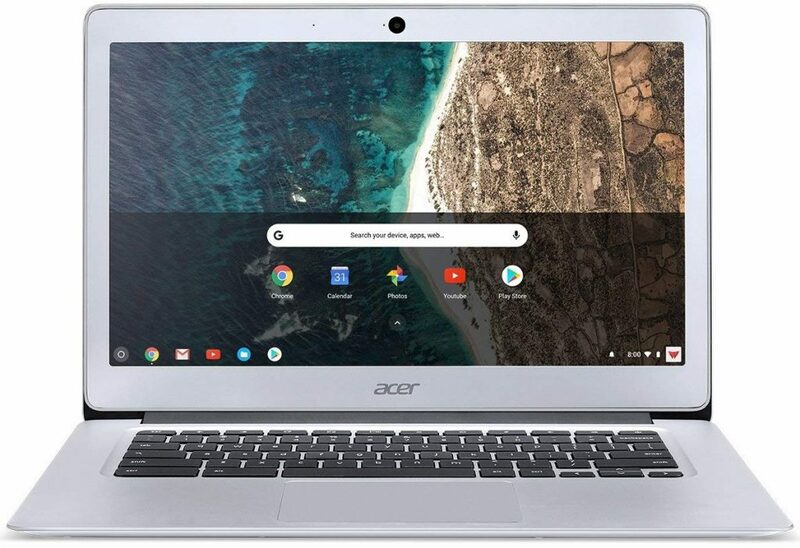 The 2019 edition of the Acer Chromebook is impressive, reliable and delivers great value for money. 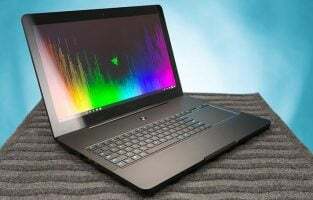 The product is powered by an Intel Celeron dual-core processor 3205U clocked at 1.5 GHz with 2M Cache and it runs on Chrome OS, as does all other Chromebooks. The 15.6-inch display has full HD 1080p resolution which is large allowing kids and college students to easily access apps, games or use Microsoft Office with ample screen estate. One of the best Chromebooks for kids from Acer has 4 GB of RAM, which is sufficient for most computing work and has 16 GB of SSD. Being a Chromebook that largely relies on the internet and cloud storage, this is no surprise and you might have to adjust with the limited storage. 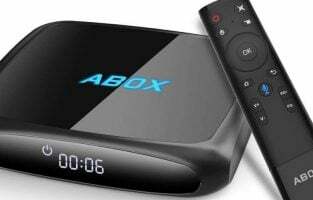 It is a fast and responsive device which uses the latest Wi-Fi 802.11ac connectivity, has HDMI, USB ports and a Webcam for making video calls. The battery life is adequate as it can run for 9 hours on full charge and the silver finish on the laptop has a premium touch to it. It is easily one of Acer’s best laptop and being the newest edition should make buyers happy who are keen on owning the latest hardware. 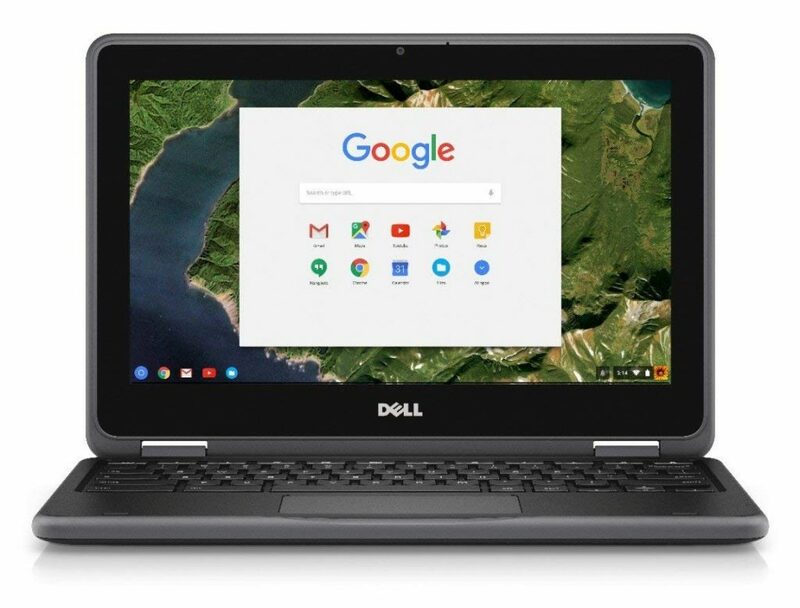 Google Chromebooks have found a standalone market for their own and they are compact, safe to use making it a great choice for young kids or college students. The best Chromebooks for kids are the ones that are rugged capable of withstanding heavy usage if you are buying them for young children. 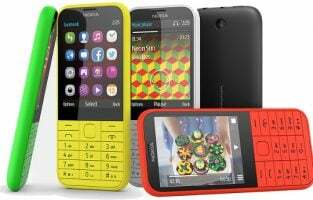 The older kids should be able to use apps and games conveniently, which is when you can opt for a more premium choice with better display and sound to provide a great computing experience. With Acer, Samsung, Dell and other major brands actively launching new Chromebooks with varied price tag and specifications, it should be easy for you to pick a model that ideally meets your requirements.